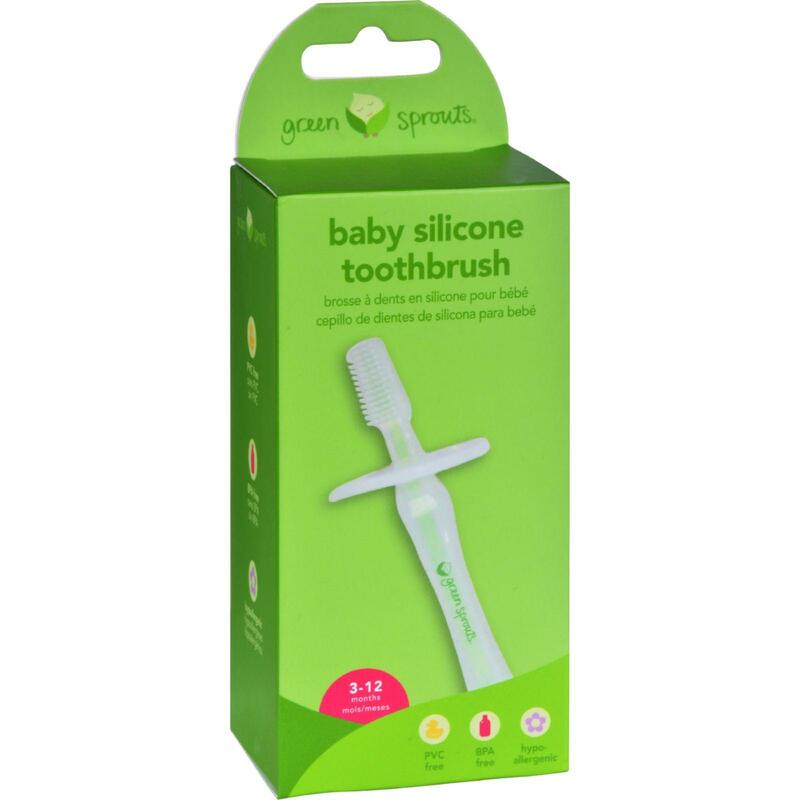 The Green Sprouts silicone toothbrush is a great way to get your baby used to a tooth brush. I like the round stopper at the neck of the tooth brush , stoping your baby from putting the tooth brush too far into their mouth and possibly injuring themselves. My son loved to chew on it, he used it as a teether too!